Strings On Strings is a short work-in-progress performance that explores the structural dynamic between music (performed by a live string quartet) and bodies suspended on ropes. Strings On Strings has been created in collaboration with composer Max Ringham. The score is written in whole-tone scales for strings, and sits within a digital audio environment of sampled, textural and recorded sounds. 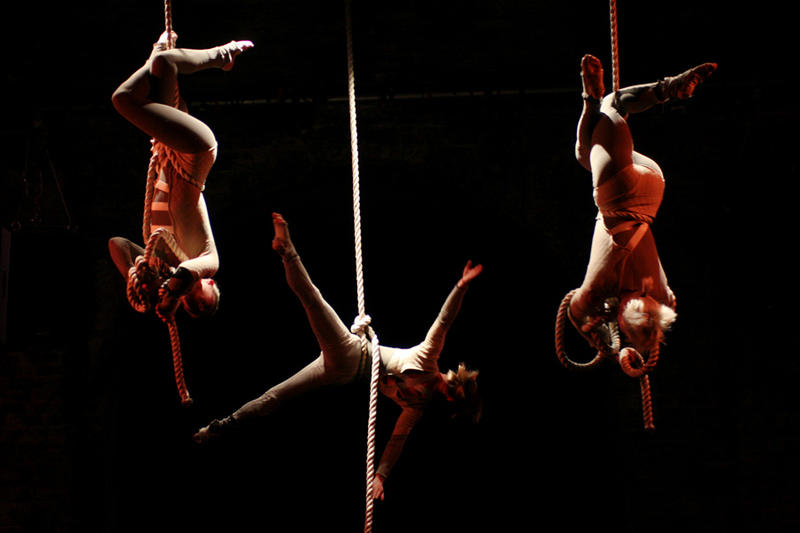 Strings On Strings was shortlisted for Jeunes Talents Cirque Europe 2010. 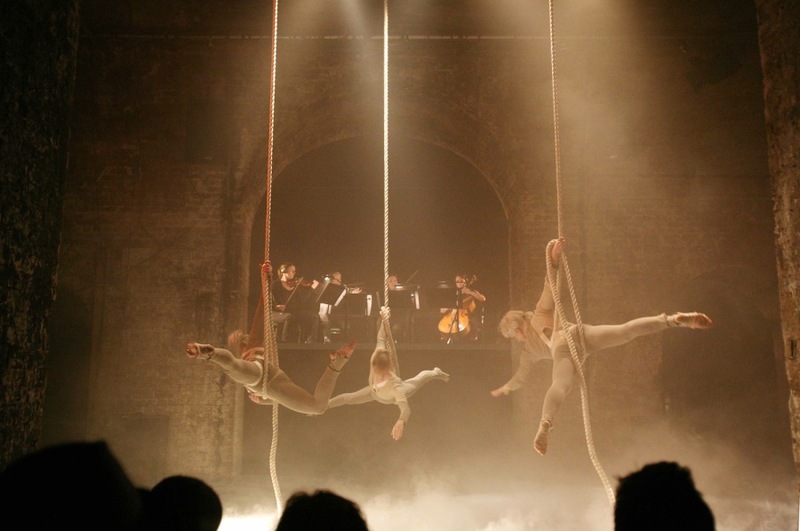 Strings on Strings was performed in 2010 at London venues Shunt Lounge, Jackson’s Lane and Stratford Circus. Presented by Crying Out Loud in association with La Brèche, Lower Normandy’s Centre for Circus Arts. Developed in association with Jacksons Lane, Farnham Maltings and Shunt.